About: Despite their slow methodical approach, and deep-inset wrinkles, you won’t find more sly or wily players on this side of the Peninsula. Card games have long been enjoyed as a Spanish past time, and will often consist of: Loba, Botifarra, Chinchon, and the ever-so-popular, Mus. 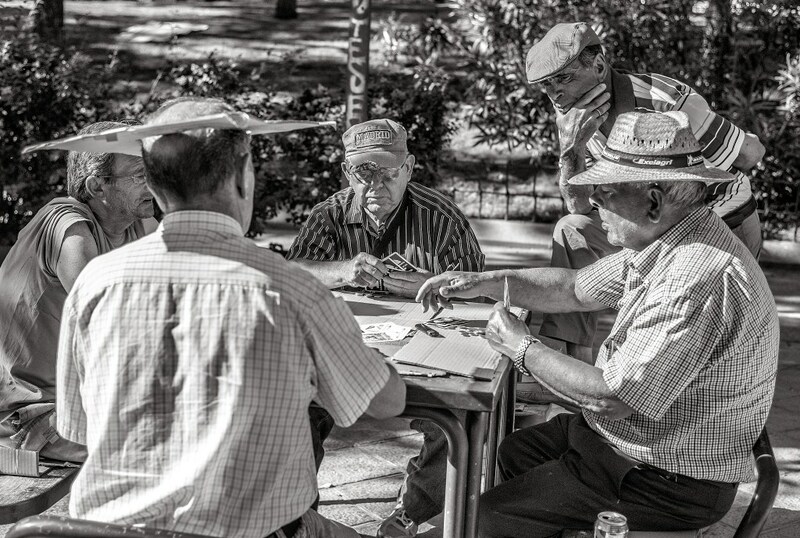 If you’ve never played, simply gift a can of beer to an older gentleman in the park and ask, ¿Cómo se juega a este juego ? (Hey, how do you play?) You’ll not only learn how to play, but I guarantee you’ll get some fantastic stories with it!